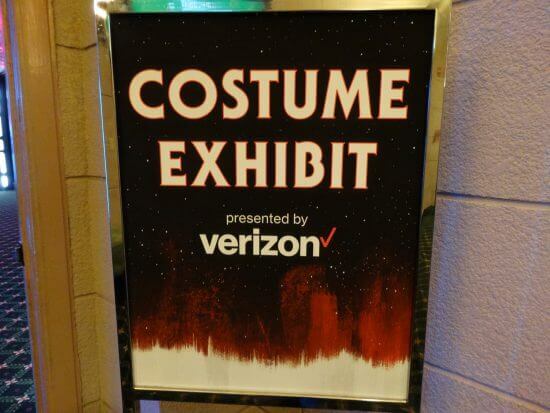 It is upon us. 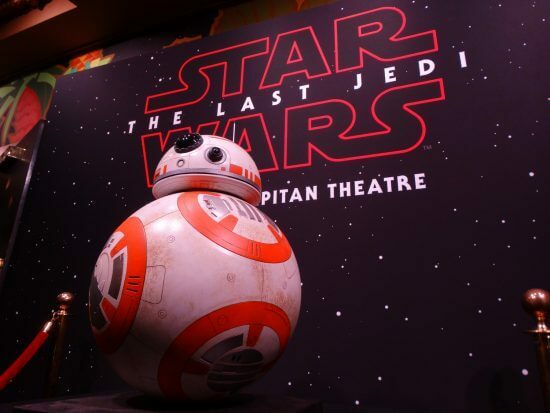 The highly-anticipated Episode VIII in the ongoing Star Wars phenomenon, “Star Wars: The Last Jedi,” has finally opened in theaters nationwide. 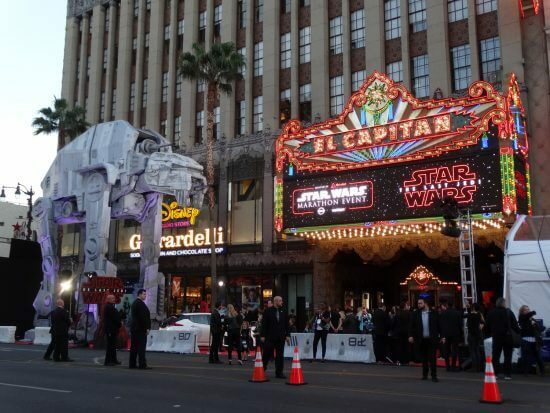 But there’s no better place to see it than at the Disney-run El Capitan Theatre in Hollywood, California. 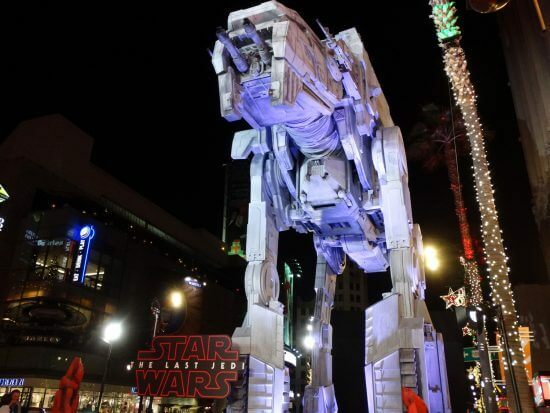 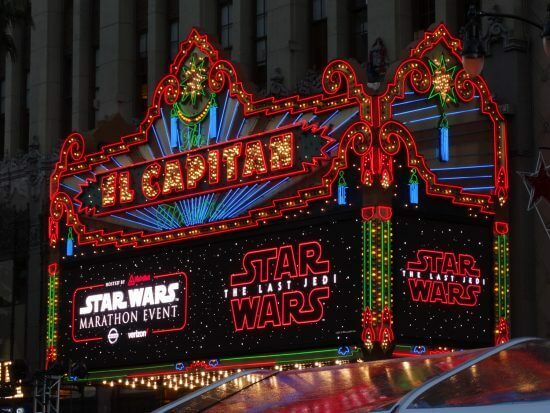 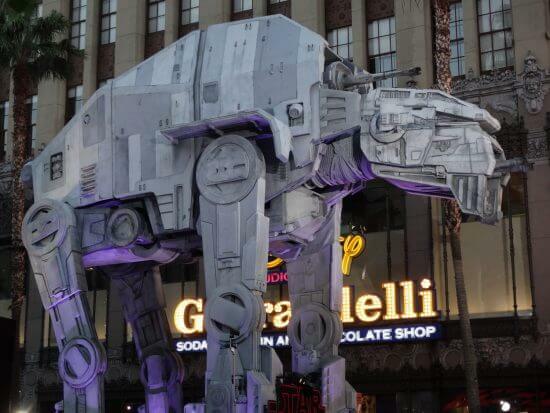 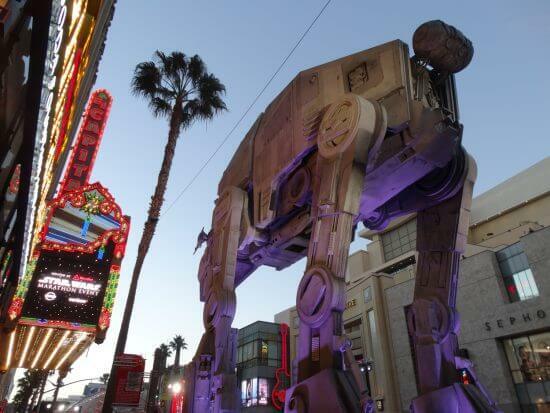 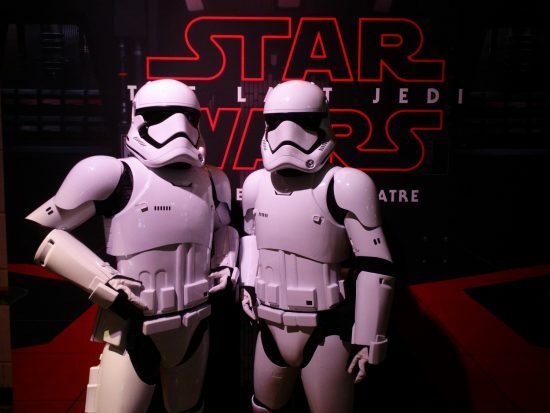 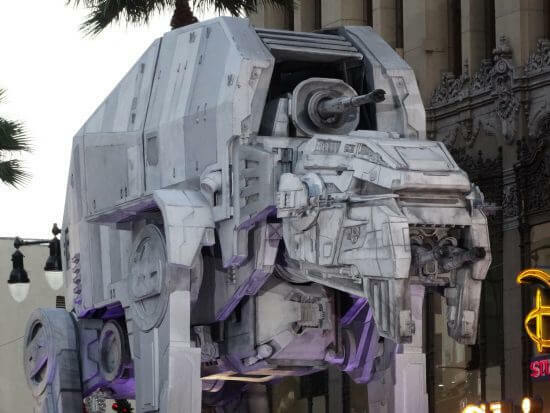 For the opening night of the new movie, the El Capitan had a tremendous AT-M6 Gorilla Walker outside its doors on Hollywood Boulevard, and a meet-and greet with First Order Stormtroopers in the lobby. 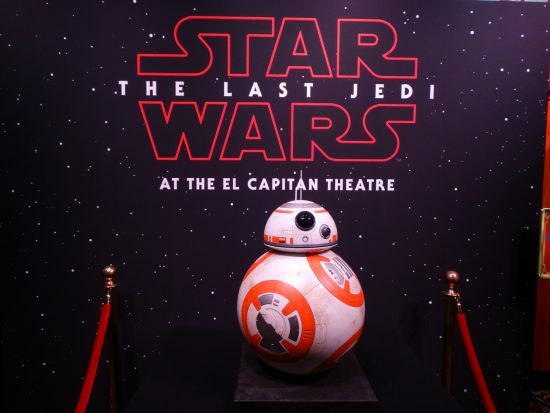 Plus, a full-size replica of BB-8 and the theater’s award-winning organist entertained fans as they waited for the show to begin. 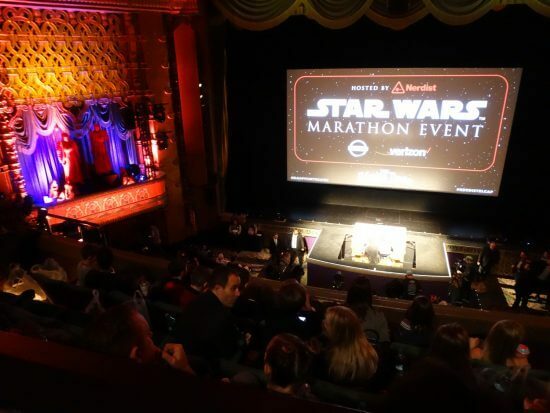 As a very special surprise, “Star Wars: The Last Jedi” director Rian Johnson came out on stage to introduce the first screening. 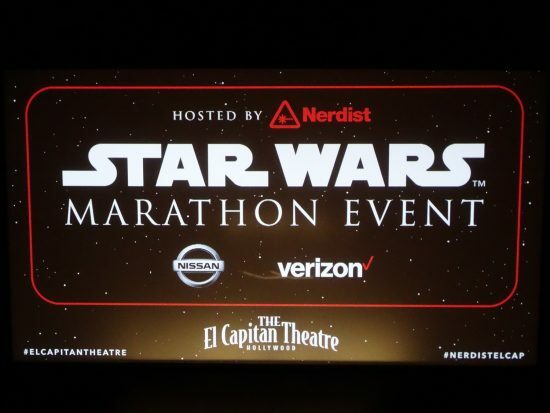 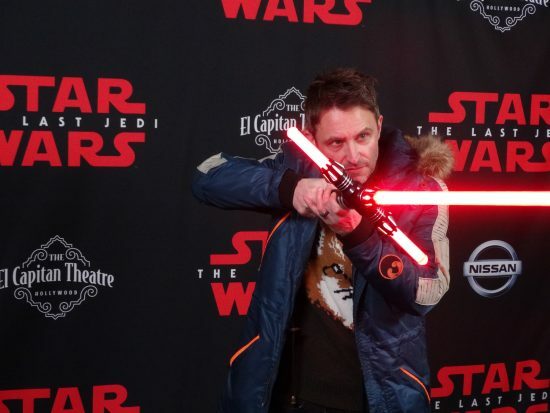 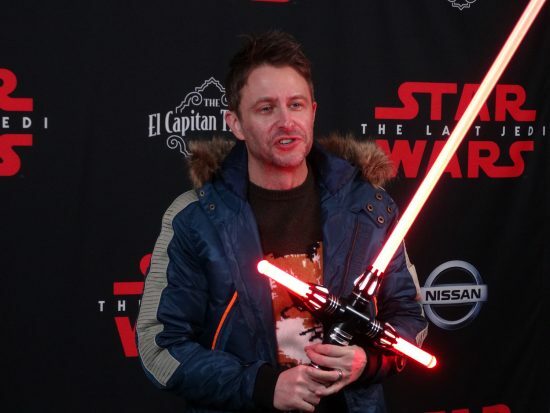 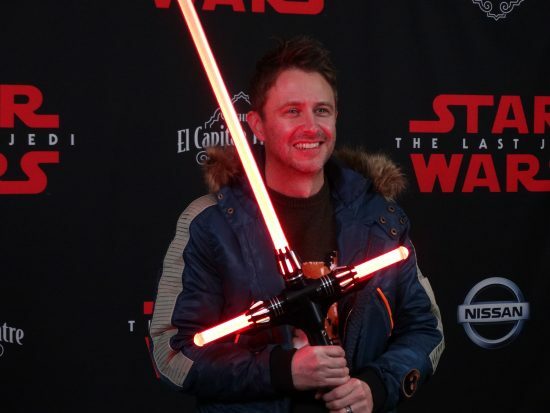 He was helped by comedian and Nerdist CEO Chris Hardwick, the movie’s producer Ram Bergman, and a pre-recorded video appearance from none other than Luke Skywalker himself, Mark Hamill. 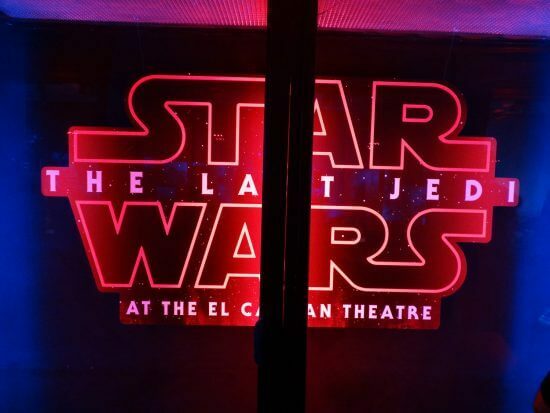 Before each showing of “The Last Jedi” at El Capitan, the theater presents a delightfully energetci Laser and Light show that includes a character appearance by Rey live on stage. 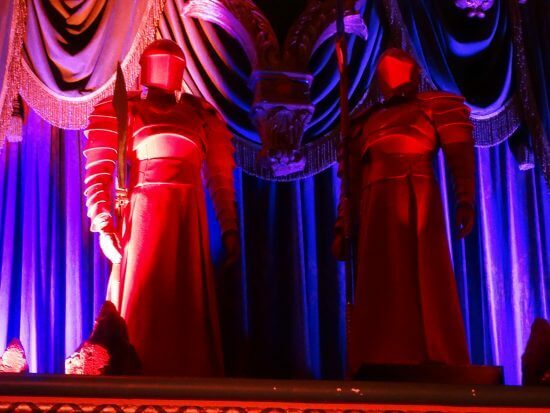 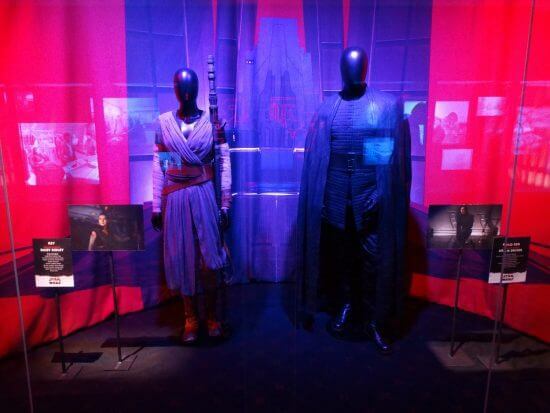 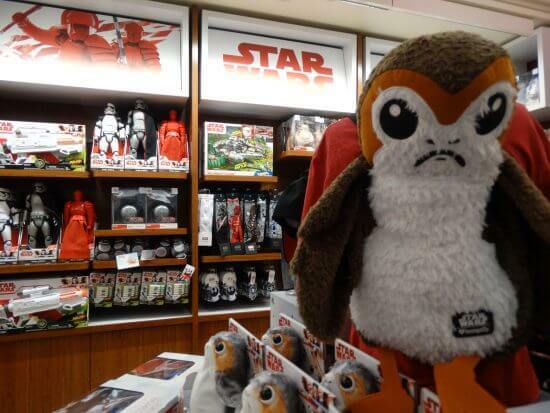 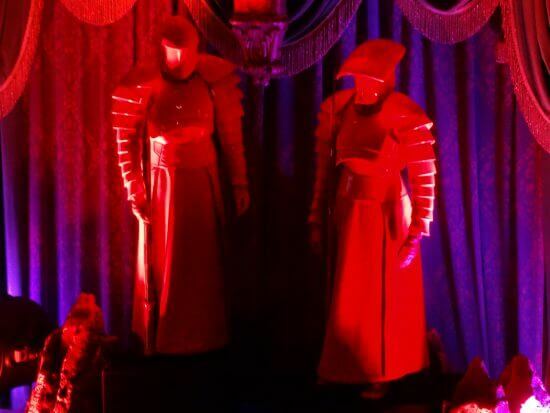 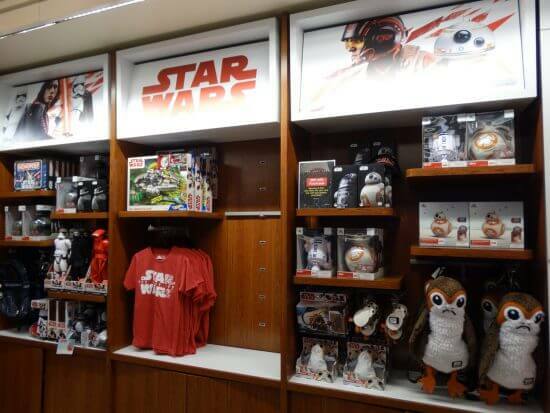 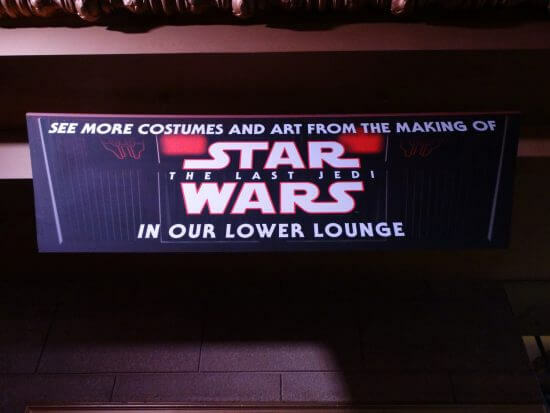 Down in the lower level of the El Capitan, fans can check out a great-looking costume display for “Star Wars: The Last Jedi” either before or after they watch the movie. 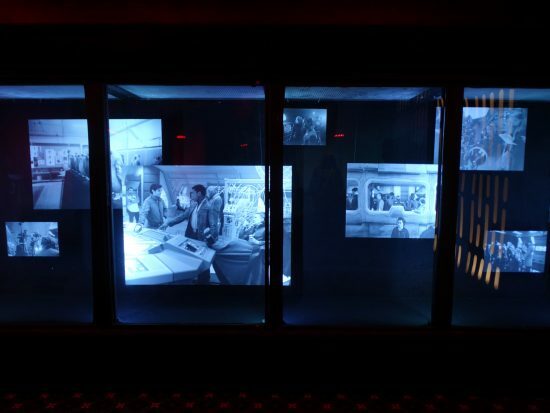 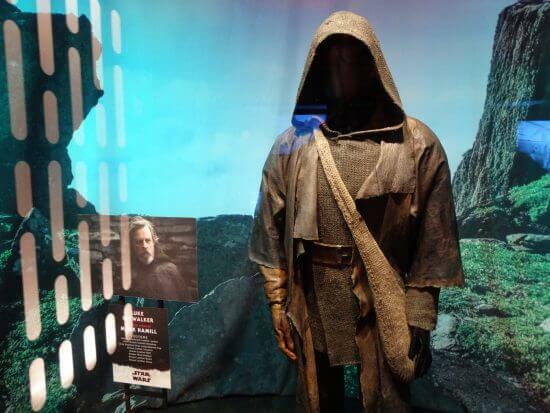 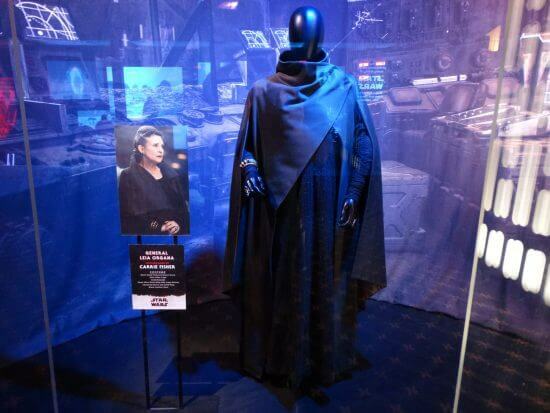 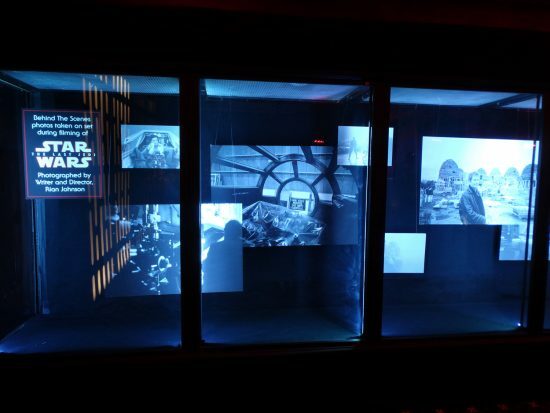 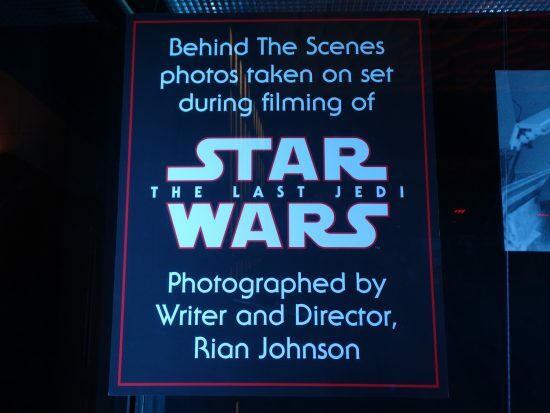 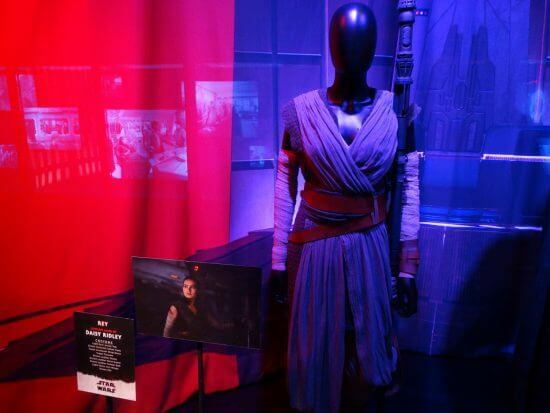 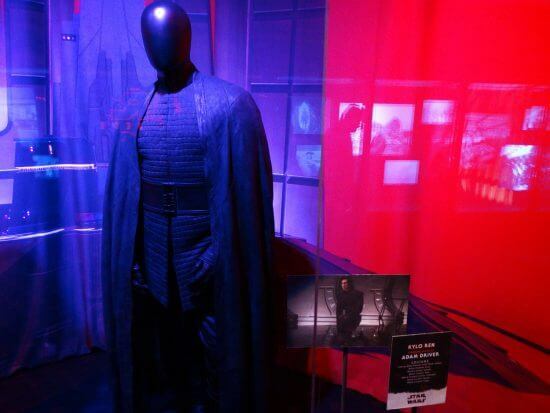 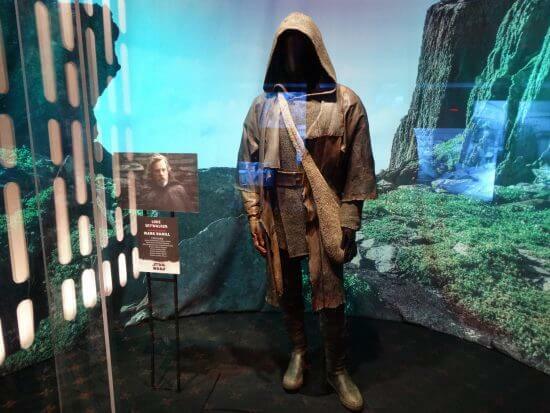 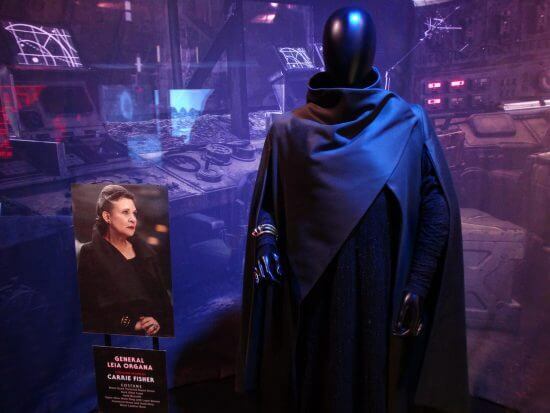 The exhibit includes outfit worn by Mark Hamill as Luke, Daisy Ridley as Rey, Adam Driver as Kylo Ren, and the late Carrie Fisher as General Leia Organa. 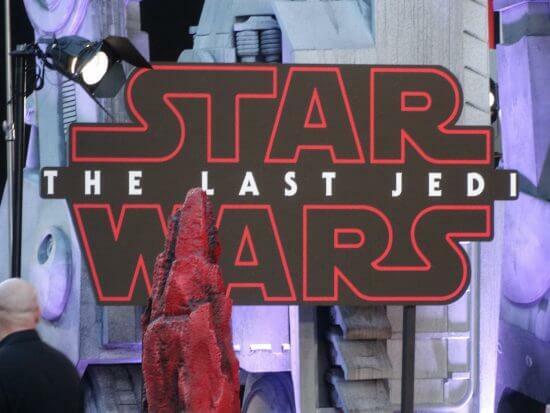 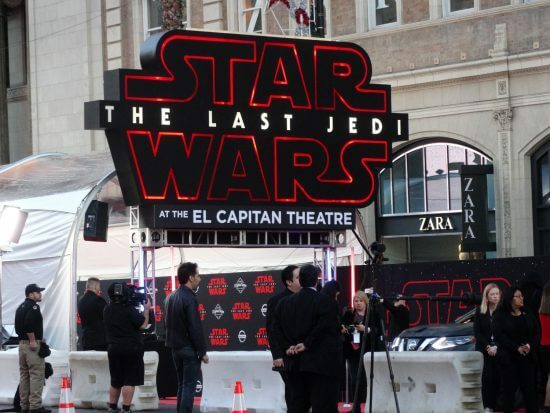 “Star Wars: The Last Jedi” plays from now through January 28th at the El Capitan Theatre in Hollywood, California. 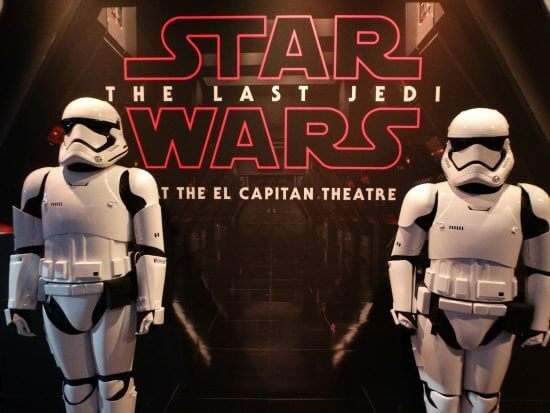 Be sure to visit the theater’s official website for more information and advance ticketing resources.